We help individuals, organizations, and communities create new patterns, new stories, new cultures. What is The Circle Project? Paul Watzlawick: How Real is Real? Are you living a circumstance-driven or intention-driven life? Free Teleseminar - "Recognize Your Choice Points"
Free Teleseminar, Sept 30th - "Are you splitting your intentions?" Finding meaning in your work--and in your life. Lori on What's coming in 2007? Join me in Italy - Sept 2010! A creative retreat in Orvieto! Business identifies itself through what it believes to be quantifiable, objective data. The “bottom line” is a favorite and oft used expression (and a metaphor). It is not surprising then, that HR professionals, working within a context that greatly values the reduction of information, are stymied when confronted with a complexity like diversity. Business demands that issues be reduced to prose, which condemns HR professionals to perpetually seek ways to address the “bottom line” of diversity. When “seeking the bottom line of diversity” refers only to “what is the pay-off?” or “what will it cost?” the metaphor (bottom line) is being used literally and no longer functions as a metaphor. It is in effect, dead. The parade of literal business cases made to address the literal “bottom line of diversity” indicates that the metaphor has lost its referential power. A living metaphor connotes; it is the poetry that reaches for understanding beyond the ability of language to grasp. A dead metaphor denotes; at best it describes. It is prose. When taken literally, a metaphor (bottom line) has no power to illuminate; the subject (diversity) is reduced, the interpretive possibilities neutered and the complexities denied. In fact, the inert metaphor holds the subject (diversity) captive reducing its access to quantitative statements, dollars and cents. “Stir Fry,” “Mosaic,” “Jelly Bean Jar,” and “Tossed Salad,” are among the plethora of “different-things–in-a-single-container” comparisons used to describe but incapable of illuminating diversity. A living metaphor facilitates a more significant and revealing engagement with diversity. It does more than describe. It affords HR professionals the capacity to deal with the complexity of diversity in a useful way. For instance, Robert Fritz teaches that behavior, like water, will always follow the path of least resistance, a path determined by the structure of the land. How might diversity interventions transform if the focus shifted from regulating behavior to engaging with the underlying structure of the land? How might diversity become meaningful if it was no longer seen as a container-of-different-things (a “silo”) but instead was understood as an action, “how we do what we do?” These perceptual changes are possible within a living metaphor in which the “essence” or the “ends” or the “heart” or the “fundamental nature” of diversity become relevant. Dead metaphors are supported by two concepts: split intentions and counterfeit conversations. A split intention happens when actions taken do not support the stated intentions. For instance, when an organization sincerely includes diversity in its statement of core values but does little to address its recruiting and hiring practices, systems of promotions, compensation, etc., it has effectively split its intention. 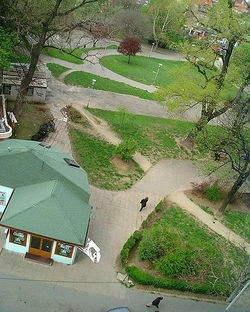 A split intention is often invested in the appearance of an action and not the action itself. When diversity is encased in a dead metaphor, HR professionals have no choice but to split their intentions in order to make their initiatives appear impactful. Counterfeit conversations result from the continued, persistent use of a dead metaphor as if it were still alive. The metaphors we use frame the choices we see; when a metaphor no longer refers to an illumination, it becomes concrete and obfuscates absurdities. In this instance, when we take seriously the metaphor of the “bottom line of diversity,” it appears that the unsolvable might be solved. The organization, invested in the concrete nature of its metaphor, is within its rights to demand that expenditures en route to solving the unsolvable be justified. HR professionals with the task of “solving” diversity while staying under budget have no other recourse but to talk around the issue and pretend that a mountain of data, lists of statistics, 10 best tools or a host of interventions and conferences will actually result in the “solving” of the problem. It is a vicious circle. -David Robinson is co-founder of The Circle Project, providing unique, experiential training about diversity and inclusion issues and culture change. www.thecircleproject.com; 828-280-5766 (East Coast office) or 206-853-8289. Each of our 2007 retreats can accommodate between 14-16 participants only; they will be held at the beautiful Bend of Ivy Lodge near Asheville, North Carolina. You'll find course descriptions and logistical information in the brochure (PDF). We would welcome your participation and engagement and insights. Please join us if you can. We sometimes overlook the tools we have at hand, those that are the most potent. One of those is metaphor. As we've explored learning and organizational culture and story, we've come to appreciate the power of metaphor. Emerson has said, "The world is emblematic. Parts of speech are metaphors, because the whole of nature is a metaphor of the human mind." We've become enamored of metaphors such as "desire lines" and "dorodango" and want to explore further how the metaphors we use both illuminate and obscure, how they help and how they hinder, both personally and organizationally. This weekend retreat, "Desire Lines: Exploring the Power of Metaphor," will start that exploration. We'll make use of a beautiful space and place to explore metaphors of those same concepts, applying our learning to the organizational universes and systems in which we find ourselves. Come, join us! Since we began our work, participants have expressed a desire to learn how to create experiential learning processes. This intensive "train-the-trainer" retreat is designed to explore learning and help participants "explode" their current training curricula by creating transformative, experiential processes that will come closer to what learning really is--a process that leaves us changed. Come join us! 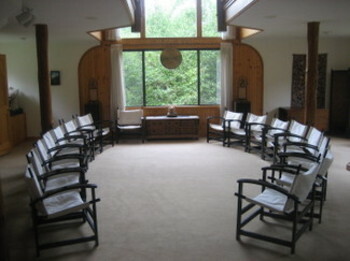 This retreat, "Training at the Edge: Experiential Tools for Transformational Learning", is limited to 14 participants to allow for in-depth work for each person. It is appropriate for people who work in a wide variety of disciplines and types of organizations. As we finalize plans for public seminars in 2007, we'll post them here. Asheville, NC - "Wicked Problems and Tame Solutions: Complexity and Simplicity in Communities and Organizations"